A new style of the multifunctional lounge bean bag, the Fatboy® original. Take it wherever you desire; suits any space indoors and out! 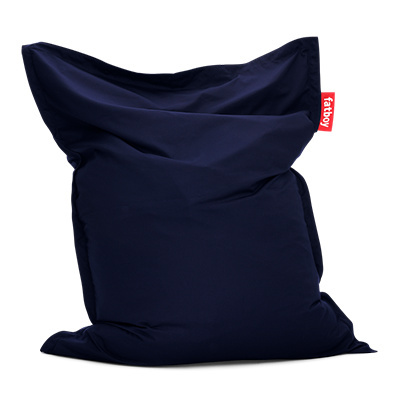 Filled with virgin polystyrene beads; cover crafted from longwearing, moisture repellent Sunbrella fabric with excellent colour fastness (100% salutation dyed acrylic). 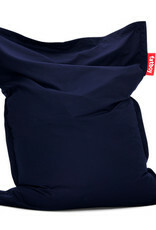 Available in wide array of vibrant colours; easy to clean with damp cloth and mild soap; cover is machine washable. Measures 55 inches long by 70 inches wide.